The United Peoples Democratic Movement Party organisation and procedures are democratic. They are designed to encourage the maximum amount of debate and free open exchange of opinion within the Party. 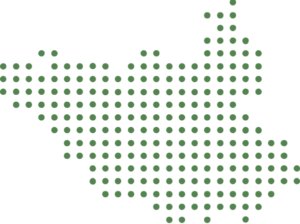 The procedures reflect UPDMs values and distinguish it as a uniquely professional and democratic organisation. The structure provide a guarantee to all Party members that they have a right to be heard and that they will be listened to. Our members are there to bring UPDM to the community. Members may form a Branch working with youth clubs and other bodies. Much of the time at branch meetings is taken up with discussing local problems and national politics. The branch keeps UPDM informed about local issues and the views of the members about national issues. The branch is involved in distributing literature on behalf of the Party and sometimes publishes its own newsletter. The Central committee is responsible for governing UPDM. It is made up of party professionals who run the day to day tasks of UPDM and are responsible for the development, formulation and publication of UPDMs policies and for ensuring participative, focused and results-oriented debate on matters of policy. For now, the central committee writes internal and external communications including press releases, manifestos. It designates one person to approve release of all external communications. It approves any political strategy proposed by members including the leadership by majority vote. 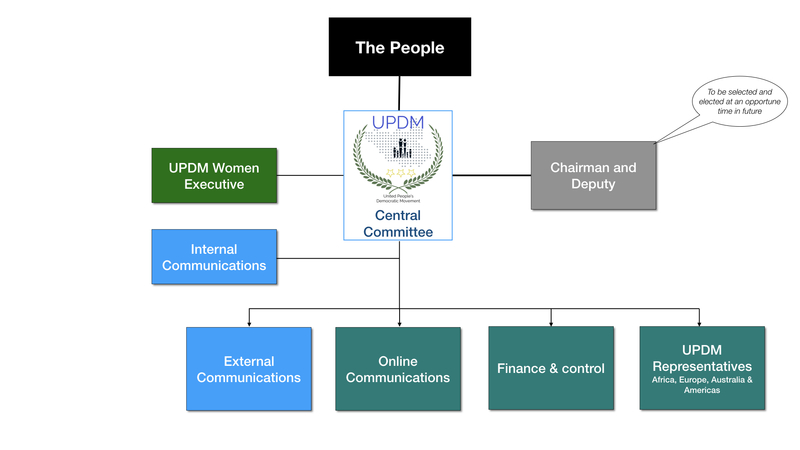 The UPDM Women Executive (UPDMWE) governs UPDM Women, which actively ensures women and gender issues are considered and streamlined in internal UPDM policies and initiatives and campaigns for the achievement of women's rights and equality in the Party and society. All party members are entitled to join and women are automatically members of the UPDM women. The Executive organises meetings on political, social and economic issues affecting women. The Executive Board oversees, directs and co-ordinates the activities and affairs of the UPDM. Its members include 6 members (3 men and 3 women). The Executive meets once a month. Its meetings are presided over by a subject matter chairperson. Once it is opportune for all members of UPDM to assemble at a Party Conference, all members properly registered for a set period are entitled to vote in the election of the Leader and Deputy Leader. Members will elect the Party Leader and Deputy Leader. Also to be elected are the Chairperson of the Executive Board, the Treasurer and 4 delegates to represent the diaspora in Africa, Europe, Australia and the Americas. Each will have terms of reference that is approved by the executive board.